A Liberal MP who has not been seen on Parliament Hill for weeks is at the centre of a dispute within his own party. 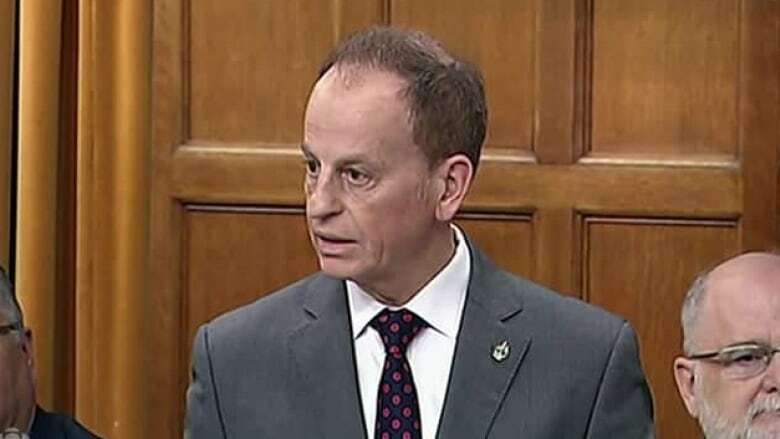 Nicola Di Iorio did not follow through on his plan to resign after party officials said he was not allowed to hand-pick a Liberal candidate to replace him. By now, Nicola Di Iorio was supposed to be far from public life. The rookie Liberal MP announced in April he was resigning his Quebec seat, citing "family reasons." But an internal dispute within the Liberal Party appears to be keeping his political future in flux. Sources tell CBC News and Radio-Canada that while Di Iorio had planned to leave office this summer, he wanted to hand-pick the successor who would run as the Liberal candidate in his Montreal-area riding. Three sources speaking on background say that when the party told Di Iorio he could not make that decision, and that there would be an open nomination process instead, he changed his mind about resigning. Despite multiple phone calls, e-mails, a text message and a reporter showing up at his constituency office and the law firm where he works as a labour lawyer, Di Iorio could not be reached for comment. Di Iorio cited other reasons for his change of heart in a Facebook post to his followers in late September. "My commitment to my community and my fellow citizens is part of my life and will always be essential for me," Di Iorio wrote, adding he is "open-minded,"
"I chose to give myself a month of reflection and consultation with my family and our Prime Minister to have the necessary perspective to make the best decision for my community and my fellow citizens." More than a month after that post, no one seems to know what Di Iorio will do next. "Nicola Di Iorio is still an MP, and as far as I know he is still in reflection on his future," Prime Minister Justin Trudeau said in response to a reporter's question during a news conference in Churchill, Manitoba today. An official from the Prime Minister's Office said that Di Iorio is also still a member of the Liberal caucus. Di Iorio has been the source of much speculation since The Canadian Press reported he had not been seen on Parliament Hill since the House returned in mid-September.